Complement your property with aluminium windows from Total Window Repairs. Here at Total Window Repairs, we are passionate about offering all of our customers throughout Blandford Forum, Shaftesbury, Gillingham, Dorchester and the surrounding areas the best double glazing products available on the market to date. Aluminium is a fantastic choice of material for any home, providing optimum durability. These windows are designed to never fade, deteriorate or rust, so get in contact with our team today and we’ll find the perfect products for you! 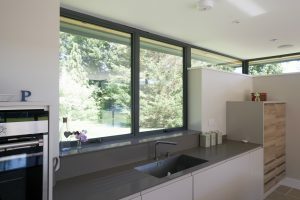 The fascinating qualities of this material cause aluminium windows to be the perfect choice for any property. 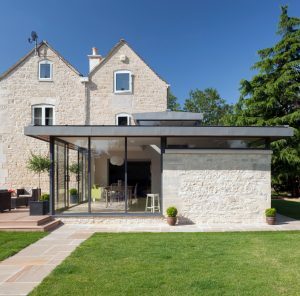 The light-weight nature of the Smart aluminium windows means that they are easier to install than competing products, but despite this they maintain the inherent structural strength that consumers expect from modern aluminium products. With all of this and more, you’ll easily find yourself with aluminium windows that surpass all of the competition when it comes to security and energy efficiency. If you want a product that is tailored to your exact wants and specifications, then get in contact with Total Window Repairs today. We can complete your home improvement project in an efficient and affordable manner. All of our aluminium windows are CE marked in accordance with the Construction Products Regulation. That way, you can rest assured that you are getting a product that is officially accredited by the relevant government bodies, assuring you of its quality. We want to bring you a customisable, affordable product that reflects your Dorset home. All of our aluminium windows can be personalised to an incredible degree, able to complement both your personal aesthetic desires as well as the existing décor of your property. 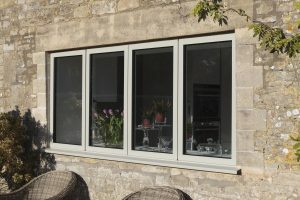 From the traditional personality of the Alitherm Heritage range to the contemporary Eco Futural, we can provide double glazing that fits easily with any number of property designs. We also understand the importance of affordability when it comes to producing excellent double glazing. Since our inception as a family-run business in 2001, we have maintained a personal level of interaction with all of our customers. We continue to bear in mind the wants and needs of you as a customer, and guarantee fantastic prices for every product. We understand the importance of design when it comes to your aluminium windows. Alongside our variety of product ranges which fit a number of property types, we also offer an unrivalled colour and finish range. From beautiful bronze and silver, through powerful reds and traditional white, we guarantee the RAL colour to match the design you have in mind. This fantastic range of colours also means that we are able to offer a colour-matching service like no other. All aspects of the aluminium windows, from the handles to the hinges and profile itself, can be properly painted any colour to match the existing colours of your home. We also offer the new Cotswold colour palette, developed for a more traditional feel. If you want the perfect double glazing for your Dorset home, then call our specialists on 01258 488500. Speak to one of our team-members regarding our pricing, and choose the right aluminium windows for you. Alternatively, you are welcome to fill out our contact form. We’ll get back to you as soon as possible. On the other hand, you can use our online quoting tool to get an instant quote for the products that you have in mind for your home. This is the fastest and most efficient way to get a bespoke price specific to your needs and requirements. With a wealth of designs across all of our products, we guarantee that you’ll find the product for you.